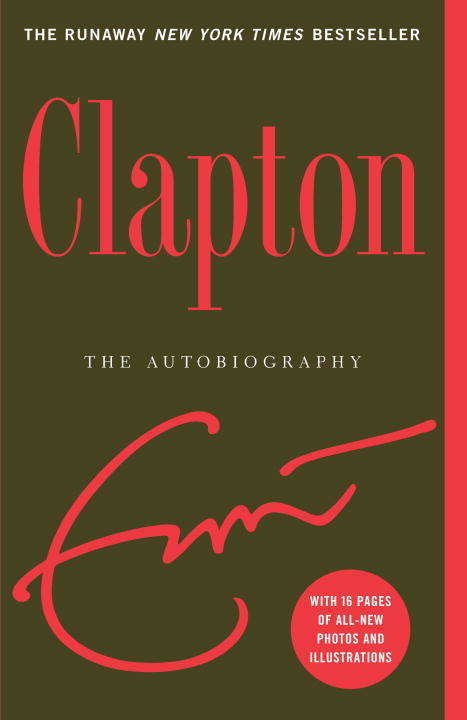 With striking intimacy and candor, Eric Clapton tells the story of his eventful and inspiring life in this poignant and honest autobiography. More than a rock star, he is an icon, a living embodiment of the history of rock music. Well known for his reserve in a profession marked by self-promotion, flamboyance, and spin, he now chronicles, for the first time, his remarkable personal and professional journeys. During the late sixties he played as a guest with Jimi Hendrix and Bob Dylan, as well as the Beatles, the Rolling Stones, and longtime friend George Harrison. It was while working with the latter that he fell for George’s wife, Pattie Boyd, a seemingly unrequited love that led him to the depths of despair, self-imposed seclusion, and drug addiction. By the early seventies he had overcome his addiction and released the bestselling album 461 Ocean Boulevard, with its massive hit “I Shot the Sheriff.” He followed that with the platinum album Slowhand, which included “Wonderful Tonight,” the touching love song to Pattie, whom he finally married at the end of 1979. A short time later, however, Eric had replaced heroin with alcohol as his preferred vice, following a pattern of behavior that not only was detrimental to his music but contributed to the eventual breakup of his marriage. Clapton is the powerfully written story of a survivor, a man who has achieved the pinnacle of success despite extraordinary demons. It is one of the most compelling memoirs of our time.